The thoughtless person playing with penicillin treatment is morally responsible for the death of the man who succumbs to infection with the penicillin-resistant infection… I hope this evil can be averted. The discovery of penicillin by Sir Alexander Fleming ushered in a revolution in modern medicine. Over a relatively short period of time, infections that had for centuries been a major threat to animal and human survival had suddenly become treatable. 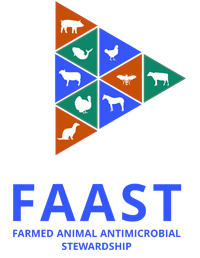 In agriculture, the use of antimicrobials was one factor that contributed to the intensification of livestock production, thereby improving production efficiency and satisfying a growing demand for animal protein1. Just as Sir Alexander Fleming cautioned, antibiotics soon started to be less effective over time. Figure 1 outlines the relatively short time that took to identify resistance to some key antibiotics following its widespread use. Figure 1. Timeline of antimicrobial resistance development relative to the first year each antimicrobial agent was marketed. 1 Penicillin was in limited use prior to widespread population use in 1943. This table is adapted from CDC’s “Antibiotic resistance threats in the United States, 2013”2. Antimicrobial resistance (AMR) is the phenomenon by which microorganisms (bacteria, fungi, parasites, and viruses) naturally have, acquire, or develop the ability to survive in the presence of the compounds designed to kill them or limit their growth. For this discussion, the focus is on bacteria. When exposed to antimicrobials (selection pressure), resistant bacteria survive and multiply, and in some cases are able to pass on their resistance to other bacteria, potentially spreading resistance across different populations and species of bacteria (which can then go on to potentially infect animals and humans). It’s estimated that over 2 million human illnesses annually are caused by AMR infections in the USA alone, resulting in approximately 23,000 deaths2. Globally, that number balloons to an estimated 700,000 deaths annually due to AMR infections3. Indeed, if AMR continues to spread unchecked, by 2050 approximately 10 million people could die from AMR infections every year3 (Figure 2). Essentially, if action is not taken immediately to address the issue, we will enter the post-antibiotic era, in which infectious diseases have the potential to be as devastating as they once were during the pre-antibiotics era. Why Should We be Concerned About AMR in Animal Health and Veterinary Medicine? Contamination of the environment with animal manure6. Though the magnitude of the risk is far from certain6, there is clear evidence that antimicrobial use (AMU) in animals plays a role in the development of AMR in humans4. Therefore, it is of utmost importance that steps are taken to mitigate the development of AMR in animal populations. Everyone who uses and prescribes antimicrobials plays a role in the development and implementation of solutions to combat the spread of AMR. Public Health Agency of Canada. Tackling Antimicrobial Resistance and Antimicrobial Use A Pan-Canadian. ; 2017. CDC. Antibiotic resistance threats in the United States, 2013. CDC Rep. 2013. O’Neill J. Tackling drug-resistant infections globally: final report and recommendations. Rev Antimicrob Resist. 2016;(May):84. doi:10.1016/j.jpha.2015.11.005. Tang KL, Caffrey NP, Nóbrega DB, et al. Restricting the use of antibiotics in food-producing animals and its associations with antibiotic resistance in food-producing animals and human beings: a systematic review and meta-analysis. Lancet Planet Heal. 2017;1(8):e316-e327. doi: 10.1016/S2542-5196(17)30141-9. PHAC. Canadian Integrated Program for Antimicrobial Resistance Surveillance (CIPARS) Annual Report – Antimicrobial Resistance. Public Heal Agency Canada, Guelph, Ontario. 2014. Chang Q, Wang W, Regev-Yochay G, Lipsitch M, Hanage WP. Antibiotics in agriculture and the risk to human health: how worried should we be? Evol Appl. 2014:n/a-n/a. doi:10.1111/eva. 12185.